EPA emissions regulations and climate change: Why the White House is talking about public health. The White House may have just figured out how to sell Americans on tackling climate change. 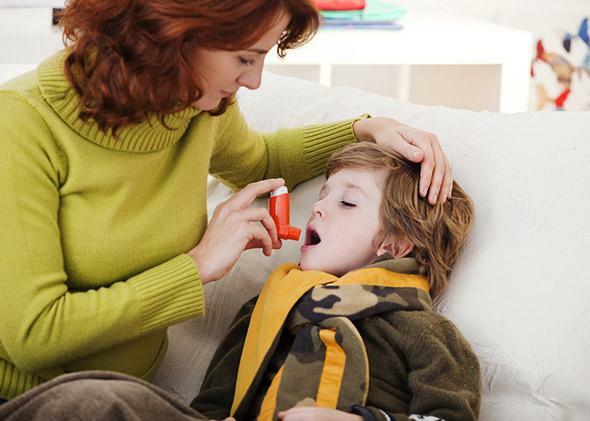 The EPA estimates that the new regulations would prevent up to 100,000 asthma attacks in the first year alone. Forget the polar bears and melting ice caps. Let’s talk about our children and the elderly. That was the not-so-subtle message the White House delivered to its allies during the rollout of the Environmental Protection Agency’s historic new climate initiative. President Obama set the table for reframing the debate Friday when he broke with tradition and left the White House to film his weekly address at the Children’s National Medical Center. The backdrop of white lab coats and medical equipment was impossible to miss as the president touted the forthcoming proposal to curb carbon emissions from U.S. power plants. Three days later Obama opted to sit out of the formal unveiling of the draft rule at EPA’s headquarters in D.C. on Monday morning, and instead took part in a conference call that afternoon hosted by the American Lung Association. The think-of-the-children appeal is far from new. Obama and his allies have long warned that the nation must act now for the sake of future generations. The change, however, is that the White House is now doing its best to give the present tense top-billing, a sales pitch that lines up squarely with a recent National Climate Assessment that found that impacts of climate change are already being felt by Americans. The newfound frame was again difficult to miss, when the EPA on Monday released estimates suggesting that the new regulations would prevent up to 4,000 premature deaths and 100,000 asthma attacks in the first year alone, numbers that would climb by about 50 percent by 2030. All told, the rules would mean as many as 2,800 fewer hospital admissions a year for Americans, the agency estimated, and 4,900 fewer missed days of school and work. The more immediate question: Will the PR plan work? The climate crowd has good reason to believe it will. A 2012 research report from Yale University’s Project on Climate Change Communication found that placing the conversation within a public-health frame was more likely “to elicit emotional reactions consistent with support for climate change mitigation and adaptation” than a traditional environmental frame, or even one focused on national security. More importantly was whom the health pitch spoke to loudest: Americans who to varying degrees haven’t made up their minds about just how pressing a threat man-made climate change is. Yale researchers have identified what they call “Global Warming’s Six Americas.” The six groups run the spectrum from the Alarmed (those who are convinced of the urgent need to fight man-made climate change) to the Dismissive (those who think of global warming as a hoax or conspiracy). There’s little need to appeal to either of the groups on the ends—the Alarmed are already on board; the Dismissives never will be—but the middle of the spectrum is up for grabs, the research suggests. It’s there where the advocacy battle will be won or lost, and fortunately for the White House it is also there where respondents proved particularly receptive to a health-heavy frame.